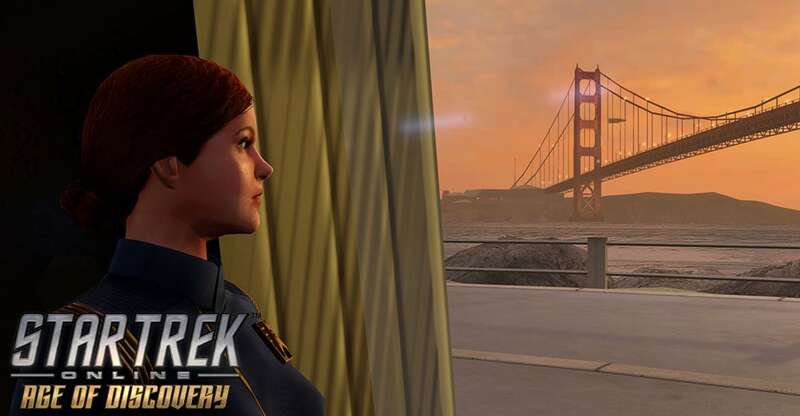 Welcome to your final year at Starfleet Academy, Cadets. With the looming Klingon war, and so much to discover out in the universe, it’s set to be a busy one. We here at the Starfleet Academy Yearbook Association know that you've got a lot of responsibilities, but we want to let you know that we’re still producing your senior yearbook, and we want to know how you’re doing no matter where or when your journey into the Final Frontier takes you! From October 9th, 2018 to midnight on November 6th, 2018, we’re holding a screenshot contest! Take a screenshot with an Age of Discovery character, and send it along to us at community@crypticstudios.com, with the subject line “Yearbook Screenshot Contest”. Every Tuesday, we’ll produce a brand new Yearbook page from the Starfleet Academy Yearbook, starring your characters! If your screenshot is picked to be a part of it, you’ll earn one of five brand new titles themed around your years at the academy. Not only that, but some of the winning screenshots will be used as new loading screens within the game! All images must be 1920x1080 or larger. In the chat window, type "/screenshot" to take a .TGA image, or /screenshot_jpg to take a .jpg image. Either is fine to submit. This will create a screenshot file in the directory below, which you can submit directly to us. You can find your screenshot folder in "\Star Trek Online\Star Trek Online\Live\screenshots" - that being a rule of thumb on most computers. Here’s some great tips from Lead Ship and UI Artist Thomas Marrone. We can’t wait to see what you come up with, Captains!